Louise Boyd, in her chosen habitat. As part of Women's History Month, KQED Pop is highlighting female trailblazers from the Bay Area's past. Meet Louise Arner Boyd. Being born into Scrooge McDuck levels of money can be one hell of a predicament. On the one hand, you're totally loaded (HURRAY! ), but on the other, without a little bit of hardship, how do you ever learn valuable life lessons? 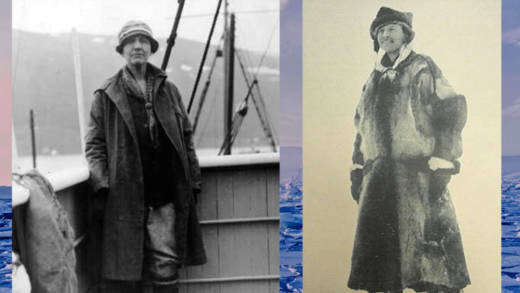 Paris Hilton made a reality show about living with working class folk (The Simple Life), Anderson Cooper (heir to the Vanderbilt fortune) put himself in the middle of war zones as a reporter, and, back in the 1920s, Louise Arner Boyd became "The Girl Who Tamed The Arctic." 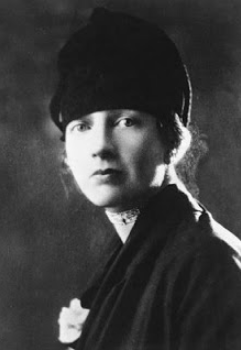 Boyd was born in San Rafael in 1887, and enjoyed a pretty idyllic childhood bouncing between Marin and the Oakland Hills... until her entire family died (her two brothers from heart disease when she was still a teenager, and her parents while she was in her early-twenties). Faced with a gigantic pile of cash and no one to share it with, Boyd did the least logical thing possible for a fancy socialite of the time; she decided to become an explorer. At first there were baby-steps; Boyd criss-crossed the country on trains for a while. But an unquenchable thirst for adventure eventually sent her barreling towards the most inhospitable places on Earth with gusto. By 1926, she'd decided to charter a supply ship and pop up to the Arctic, as if Earnest Shackleton ending up stranded in the middle of the Antarctic for months on end wasn't still extremely fresh in everyone's minds. Unperturbed by the fact that men doing the same stuff as her were dying for their troubles, Louise Arner Boyd made Arctic expeditions in 1931, '33, '37, '38, and '41, in order to photograph and study the landscape and biology of the region, as well as the effects of polar magnetism on radio communications. She was so good at that last one, the US Army gave her a Certificate of Appreciation for her work and gave her a job as Adviser on Military Strategy in the Arctic. During the war, she put her skills to good use in Washington DC as a special consultant to the Military Intelligence Division. Boyd immortalized her research in two books. 1935's The Fiord Region of East Greenland and 1948's The Coast of Northeast Greenland (which you can still get on Amazon!). "The Ice Queen," as she was dubbed, was so globally respected for her work that she received a variety of honors from Denmark, Sweden, and France, and had part of Greenland named after her ("Louise Boyd Land" which sits at an elevation of 6535 feet). 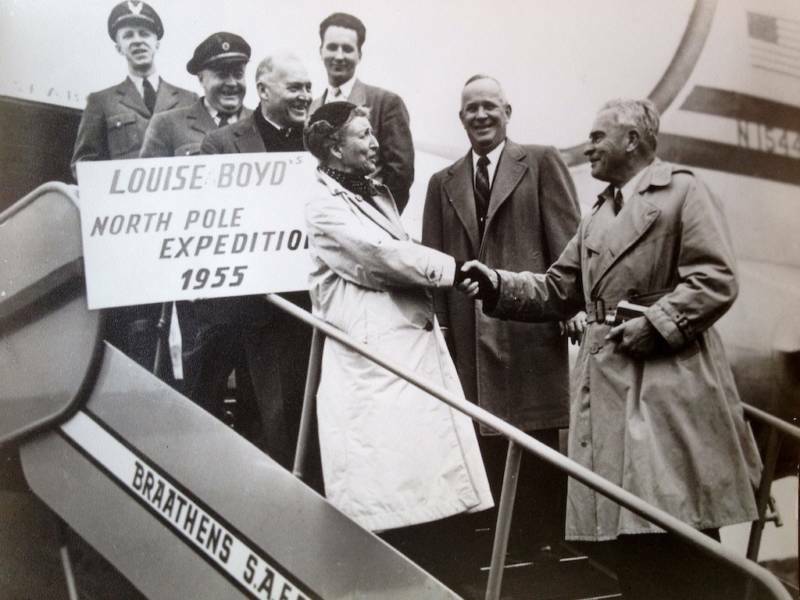 Just when it seemed Boyd was settling into a more comfortable role as The Most Interesting Dinner Guest in San Francisco, she very casually decided to become the first woman to ever fly over the North Pole... while she was 67 years old. She completed the 16-hour non-stop flight like a boss, then carried on with her life. Boyd died in San Francisco two days before her 85th birthday, having spent the entirety of her family's Gold Rush fortune. Rather than be buried with the rest of her family in their crypt at Mount Tamalpais Cemetery, she opted to have her ashes scattered into her beloved Arctic Ocean. Boyd's work remains vitally important. In 2010, Dawn Laurant, chief curator of the Marin History Museum -- which was, until recently, located on the site of the Boyd family home in San Rafael -- told Marinij.com: "Her photographs, soundings and explorations provide a baseline for a lot of the scientific investigation that goes on today into climate change." While Boyd's brothers have two monuments in their honor in San Rafael -- the Boyd Memorial Park and a stained glass window in St Paul’s Episcopal Church -- the adventurer herself has, sadly, yet to be honored in a permanent, public way. Boyd donated her library to the University of California, University of Alaska, and to WildCare in San Rafael (which, back then, was called the Louise Boyd Natural Science Museum). The Marin History Museum in Novato is also in possession of some of Boyd's photographs, research, and journals. Perhaps pay her a visit there.